HBSwiss also known as a trading binary options software, is a robot that prompts you whenever a good trading online opportunity comes along. Many experts and specialists pointed out, more than once, that this software is a huge scam, cleverly devised to manipulate you in order to take your money. 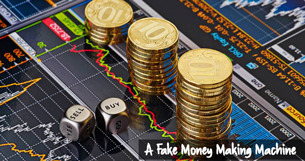 It is usually related to unlicensed brokers and offshore companies which are all fake. These experts figured out that the experienced investing specialist is actually an actor, hired to convince you that you will earn tons of cash over night and become almost a millionaire. Offshore talent agencies are working big time to find the people who will represent themselves as highly acclaimed investors who are giving free advice over the Internet to people who are looking for an opportunity to make some easy money as quick as possible and with minimum expenses. You do not have to be Einstein to realize that this is a hoax. The minds that stand behind HBSwiss even used the graphic template of the previous scam version called Fintech Ltd. They did not even bother to change it a bit so they just used the replica instead and thus, a new scam was born. Thousands of online traders were scammed and their money was taken away because they were just looking for a good cash in online opportunity but, they got a nightmare instead. This is very harmful to the real trading binary options software because now people are scared to put their trust and funds on it. Here are some of the grievances that these people had to put up with. Overcharging, revealed and displayed personal information to the third parties without any permission and declined withdrawals are just some of the issues. The main goal of this software was to create a cozy atmosphere for an online trader and give him the notion that he can earn some serious money from his home, using nothing but a device or a computer with the Internet connection. By creating an account on this software, you were to be prompted when the trading opportunity arrives and then, just wait for the cash flow. But the reality is a bit grimmer. After you put all your information online and on the silver platter so to speak, your money will just perish within one day or night.